Find your dream career at Children’s Specialty Group! Children’s Specialty Group, PLLC (CSG) is comprised of over 200 board certified or eligible physicians and 76 advanced care providers to care for patients throughout the area. We are the sole provider of medical specialty care at Children’s Hospital of The King’s Daughters (CHKD), which is the only free standing children’s hospital in Virginia. CSG is a physician owned group whose mission is to provide direct high-quality healthcare to children and adolescents, train future physicians, and conduct research to improve children’s health. We are committed to providing the best value in pediatric healthcare to our patients, payers, the Children’s Health System and referring physicians. Our physicians also serve as the full-time faculty in the Department of Pediatrics at Eastern Virginia Medical School. CSG and CHKD are located in the heart of Hampton Roads in Southeastern Virginia. Conveniently situated on the beaches of the Atlantic Ocean and Chesapeake Bay, residents are able to enjoy some of the best beaches in the United States, easy water access and safe, beautiful cities in which to live. The region also offers countless entertainment options, including a myriad of golf courses, recognized art museums, symphony, opera, zoo and botanical gardens. Hampton Roads has excellent schools as well as several nationally recognized universities. Having the Blue Ridge Mountains to the west, Washington DC to the north, and the Outer Banks to the south – a weekend retreat is only a few hours away! With all that the area has to offer, in addition to working for an established medical practice such as CSG, our physicians enjoy a high quality work/life balance. 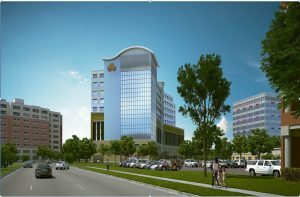 Children Specialty Group (CSG) and Children’s Hospital of The King’s Daughters’ (CHKD) vision for the future of Child & Adolescent Psychiatry involves a $50 million development of a med-psych inpatient unit, partial hospital, IOP, and a full service psychiatric inpatient unit. The Chief of Child and Adolescent Psychiatry will lead the expansion of services at CHKD, as well as the development of graduate medical education programs with Eastern Virginia Medical School. This is a unique senior leadership opportunity in a physician owned multispecialty practice to contribute to the design of a rapidly expanding psychiatric service. The successful candidate will lead a multi-disciplinary team of psychiatrists, psychologists, socials workers, and psychiatric nurse practitioners to meet the growing demand for child and adolescent psychiatric services and to train our next generation of behavioral health professionals. We offer an excellent, competitive salary and benefit plan including sign-on bonus, relocation, CME, short and long-term disability, malpractice insurance, retirement plan, profit-sharing, and health insurance. This position is a partnership/owner track opportunity in an academic setting. Candidates must be board certified in Child & Adolescent Psychiatry or tripled boarded with outstanding clinical and teaching skills, medical director experience, and clinical administrative acumen. Faculty appointment at EVMS will be commensurate with experience and academic achievements. Children’s Specialty Group (CSG) and Children’s Hospital of the King’s Daughters (CHKD) is seeking a full-time Developmental Pediatrician to join our interdisciplinary team. You will join 2 developmental pediatricians, 2 nurse practitioners, 4 psychologists, and a team of social workers, educational consultants, and other support staff. Our division houses a growing autism interdisciplinary clinic, and experience in identification and treatment of children with autism spectrum disorder is desired. Our division also supports an interdisciplinary NICU follow up clinic, and coordinates services across Hampton Roads as one of five regional Child Development Centers supported by the Virginia Department of Health. The successful candidate must be BC/BE in either Developmental Behavioral Pediatrics or Neurodevelopmental Disabilities. We treat patients from southeastern Virginia to northeastern North Carolina, which includes roughly 450,000 children and adolescents. CSG is comprised of over 200 board certified or eligible physicians and 60 advanced practice providers to care for patients throughout the area. We are the sole provider of medical specialty care at CHKD, which is the only free standing children’s hospital in Virginia. CSG is a physician owned group whose mission is to provide direct high-quality healthcare to children and adolescents, train future physicians, and conduct research to improve children’s health. We are committed to providing the best value in pediatric healthcare to our patients, payers, the Children’s Health System and referring physicians. Our physicians also serve as the full-time faculty in the Department of Pediatrics at Eastern Virginia Medical School. For more information or to apply, please submit your contact information below submit your contact information and CV below. Highlights include flexible scheduling options and competitive pay and benefits. CSG is a physician owned group whose mission is to provide direct high-quality healthcare to children and adolescents, train future physicians, and conduct research to improve children’s health. CSG is located in the heart of Hampton Roads in Southeastern Virginia. Conveniently situated on the beaches of the Atlantic Ocean and Chesapeake Bay, the region offers countless entertainment options and safe, beautiful cities in which to live. Hampton Roads has excellent schools as well as several nationally recognized universities. Having the Blue Ridge Mountains to the west, Washington DC to the north, and the Outer Banks to the south – a weekend retreat is only a few hours away! With all that the area has to offer, in addition to working for an established medical practice such as CSG, our physicians enjoy a high quality work/life balance. For more information or to apply, please submit your CV and contact information below. Children’s Specialty Group (CSG), along with Children’s Hospital of The King’s Daughters (CHKD), is seeking a full-time Pediatric Nephrologist to join our team. You will join 2 physicians and 3 nurse practitioners, along with a team of specialized nurses and other support staff. Our services include a busy outpatient clinic, peritoneal dialysis, hemodialysis, and inpatient services, including a renal transplant program. The successful candidate must be BC/BE in Pediatric Nephrology. 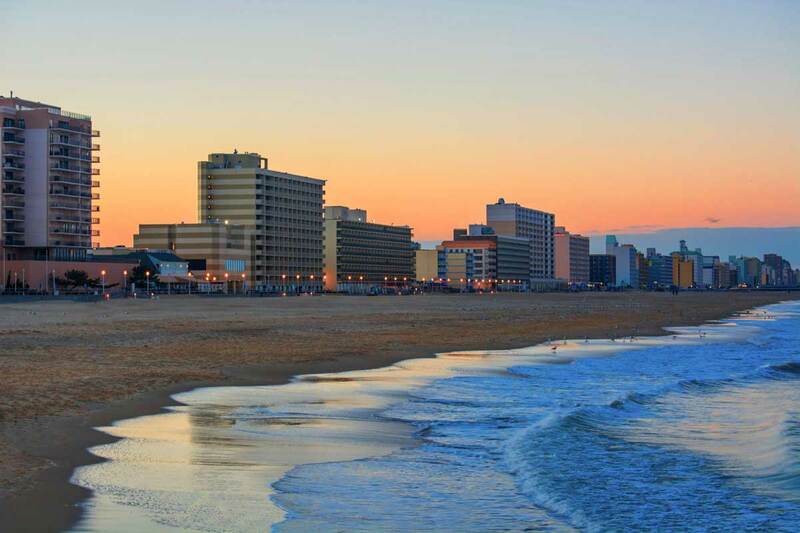 Children Specialty Group (CSG) and Children’s Hospital of The King’s Daughters (CHKD) are seeking a Pediatric Cardiac Anesthesiologist to join our established practice in Norfolk/Virginia Beach, Virginia! Candidates must be certified by the American Board of Anesthesiologists and Pediatric Anesthesiology board-certified, or be in the certification process (have completed an ACGME-accredited Pediatric Anesthesiology Fellowship). Our program provides care for a wide variety of children with complex congenital heart disorders and is ideal for the candidate who has completed a fellowship in pediatric cardiac anesthesia or who has extensive congenital cardiac experience. Our anesthesiologists work closely with our cardiac surgical team as well as the Pediatric Cardiac Cath labs and the Pediatric EP lab. While our pediatric cardiac anesthesiologists usually perform anesthesia on their own in the cardiac operating rooms, our anesthesiologists work collaboratively with anesthesiologists in our anesthesia care team model for most other uncomplicated cases. Highlights include: partnership track opportunity in an academic setting, sign-on bonus, relocation, generous CME, short and long-term disability, malpractice insurance, robust retirement plan, profit-sharing, and health insurance. For more information or to apply, please submit your contact information below. Children’s Specialty Group, a specialty group practice associated with Children’s Hospital of The King’s Daughters in Norfolk, Virginia, is seeking a psychologist to work in the Department of Developmental and Behavioral Pediatrics. This position includes primary responsibility for independent administration, scoring, and interpretation of psychological testing for children and adolescents. The psychologist develops recommendations for treatment and links children to education and therapeutic services. Other duties include: counseling families regarding assessment findings and referrals. Test administration is based on an understanding of age, culture, and developmental level. The psychologist documents patient care in the clinical record according to regulatory agency guidelines. Additional job duties may include supervision and training of non-licensed staff and collaborative work with pediatricians and community organizations. Psychologist may have the opportunity to travel to satellite clinics to perform clinical duties. This will be discussed during the interview process. Children’s Specialty Group (CSG) along with Children’s Hospital of the King’s Daughters (CHKD) is seeking a full-time outpatient clinical psychologist to join our growing team. CSG and CHKD’s vision for the future of Psychiatry and Psychology practices involves the development of a psychiatric inpatient hospital, med-psych inpatient unit, partial hospitalization program, and an intensive outpatient program. The psychologist (PhD or PsyD) will provide evidenced-based assessment and treatment to children and families as well as possess the leadership teaching skills required to train hospital staff and contribute to the development and implementation of innovative mental health programming. In addition, this role requires provision of psycho-education to families and consultation with school personnel and other medical and mental health professionals to facilitate integrated care. Doctorate in Clinical Psychology, either PsyD or PhD from an APA/CPA accredited program, as well as completion of an APA/CPA accredited internship. Experience conducting psychological evaluations and psychotherapy with children, adolescents, and adults. Licensed as a Clinical Psychologist by the Virginia Board of Psychology. Certification in any of the below evidenced-based modalities preferred, advanced training in other modalities also considered: Parent Child Interaction Therapy, Cognitive Behavioral Therapy, Trauma Focused Cognitive Behavioral Therapy, Family Based Therapy for Anorexia Nervosa, Dialectical Behavioral Therapy. Highlights include: Comprehensive benefits, including medical/dental/vision, generous CME and continuing education, 401K plan, and profit sharing. You must be fellowship-trained and board certified/eligible in Pediatric Pulmonology. For more information or to apply, please submit your contact information below. submit your contact information and CV below. You must be BC/BE in Child Psychiatry. For more information or to apply, please submit your contact information below. Children’s Specialty Group (CSG), along with Children’s Hospital of The King’s Daughters (CHKD), is seeking CRNAs who are interested in working per diem night and weekend day shifts to provide double coverage with our anesthesiologists in our division of Anesthesiology. This is an excellent opportunity for CRNAs interested in part-time work or in supplementing your current work schedule. Night and weekend volumes are historically low but occasionally of high acuity. You will join a large team of 21 Anesthesiologists and 6 CRNAs. Our division performs over 14,000 anesthetics per year in all surgical disciplines, including general surgery, ENT, orthopedics, urology, ophthalmology, GI, dental, oral and maxillofacial surgery, plastic surgery and cardiovascular surgery. Candidates would be conducting cases in an anesthesia team model in all disciplines except for cardiovascular surgery. The successful candidate will have a current Virginia license and CRNA certification. Pediatric experience is preferred but not required. EMPLOYER: Children’s Specialty Group (CSG) is a physician-owned multispecialty medical group practice comprised of over 130 pediatric specialists and subspecialists whose mission is to provide high quality healthcare to children and adolescents, train future physicians, and conduct research to improve children’s health. The physicians of CSG base their practices at Children’s Hospital of The King’s Daughters in Norfolk, Virginia, the state’s only free-standing children’s hospital. This position is within the CSG Division of Pediatric Emergency Medicine. POSITION DESCRIPTION: The Pediatric Nurse Practitioner is responsible for delivery of quality, cost effective and evidence based patient care. Serves as liaison between nursing and physician staff to initiate appropriate pathway and protocol orders, patient evaluation in collaboration with the Triage RN to facilitate appropriate and timely access to clinical services, initiation of treatment options for patients with emergent needs and facilitates discharge for patients requiring minimal treatment options beyond MSE. Independently delivers medical services required for ESI level 4 and 5 patients in the Emergency Department. Children’s Specialty Group, LLC (CSG) division of Pediatric Anesthesiology is recruiting full-time CRNAs for surgical services provided at Children’s Hospital of The King’s Daughters (CHKD) in Norfolk, Virginia. You will join a large team of 21 Anesthesiologists and 6 CRNAs. Our division performs over 14,000 anesthetics per year in all surgical disciplines, including general surgery, ENT, orthopedics, urology, ophthalmology, GI, dental, oral and maxillofacial surgery, plastic surgery and cardiovascular surgery. Candidates would be conducting cases in an anesthesia team model in all disciplines except for cardiovascular surgery. The successful candidate will have a current Virginia license and CRNA certification. Pediatric experience is preferred but not required. CSG offers a competitive salary and benefit plan including annual merit bonus, CEU allowance, medical/dental/vision, short and long-term disability, 401K retirement plan with match, and company profit sharing. Physician – Pediatrician (Neonatal Hospitalist) Children’s Specialty Group’s Neonatology and Newborn Nursery Division offers consultation, assessment, emergency and continuing care services for premature and critically ill infants, as well as long-term follow-up of NICU patients and inpatient newborn consultation at local hospitals. CHKD has specially equipped mobile intensive care units that are staffed by two highly skilled transport teams that are available 24/7. If necessary, Nightingale helicopter and air ambulance services are also available. Also, because we have a comprehensive offering of pediatric subspecialties, CHKD is recognized as the region’s premier provider of care for high-risk newborns. In addition to CHKD, our staff staffs nurseries around Hampton Roads at Sentara Healthcare, Bon Secours Healthcare, and Chesapeake Regional Medical Center. The division is currently seeking a Pediatrician (Newborn Hospitalist) to join their team, which includes neonatologist, pediatricians, neonatal nurse practitioners, respiratory therapists, radiologists, transport specialists, physical, occupational, speech and child life specialists as well as educators and social workers. Candidates must be board certified or board eligible in Pediatrics. For more information or to apply, please submit your contact information below. Physician – Pediatrician (Urgent Care) Children’s Specialty Group and Children’s Hospital of the King’s Daughter’s Urgent Care division provides care for children and adolescents in Virginia Beach, Chesapeake, and Newport News, Virginia. We are seeking a board certified or board eligible pediatrician to join our team. The successful candidate will work along side other physicians and provide oversight to advance practice providers when required. One year of Urgent Care experience is preferred. Faculty appointment at EVMS will be commensurate with experience and academic achievements. Nurse Practitioner or Physician Assistant (Urgent Care) Children’s Specialty Group together with Children’s Hospital of the King’s Daughters, seeks a full-time nurse practitioner or physician assistant to provide care at our urgent care centers. You will work side by side with pediatricians to care for infants, children and teenagers with common pediatric illnesses, minor injuries and lacerations. The successful candidate will have a current Virginia license as a Pediatric Nurse Practitioner, Family Nurse Practitioner, or Physician Assistant and will be PALS certified. Must have at least one year of pediatric experience. Genetic Counselor Opportunity – The Division of Medical Genetics and Metabolism at Children’s Specialty Group and Children’s Hospital of The King’s Daughters in Norfolk, Virginia is seeking a dynamic, self-motivated, and highly organized genetic counselor to join our team of two geneticists, two genetic counselors, and a metabolic dietician. Children’s Specialty Group (CSG) sees patients from SE Virginia to NE North Carolina, which includes roughly 450,000 children and adolescents. CSG is comprised of over 200 board certified or eligible physicians and 80 advanced practice providers to care for patients throughout the area. We are the sole provider of medical specialty care at CHKD, which is the only free standing children’s hospital in Virginia. CSG is a physician owned group whose mission is to provide direct high-quality healthcare to children and adolescents, train future physicians, and conduct research to improve children’s health. We are committed to providing the best value in pediatric healthcare to our patients, payers, the Children’s Health System and referring physicians.